As we mentioned yesterday, we’ll be liveblogging the Droid X announcement today. Verizon Wireless, Motorola, Google, and Adobe are all attending. The event starts at around 9:30AM. Stay tuned for updates. 9:34 AM – People are lined up outside the conference room. It should open up shortly. 9:42 AM – Speakers include: John Stratton, Executive VP and CMO for Verizon Wireless. Andy Rubin, VP of Engineering for Google. Sanjay Jha, CEO for Motorola. Shantanu Narayen, CEO of Adobe. 10:05 AM – The Droid X event hasn’t started just yet. The conference seems to be slightly delayed. 10:15 AM – The countdown just started. 8 Minutes to go! 10:19 AM – The event just started. John Stratton is introducing the remaining CEOs, which I mentioned earlier, on stage. 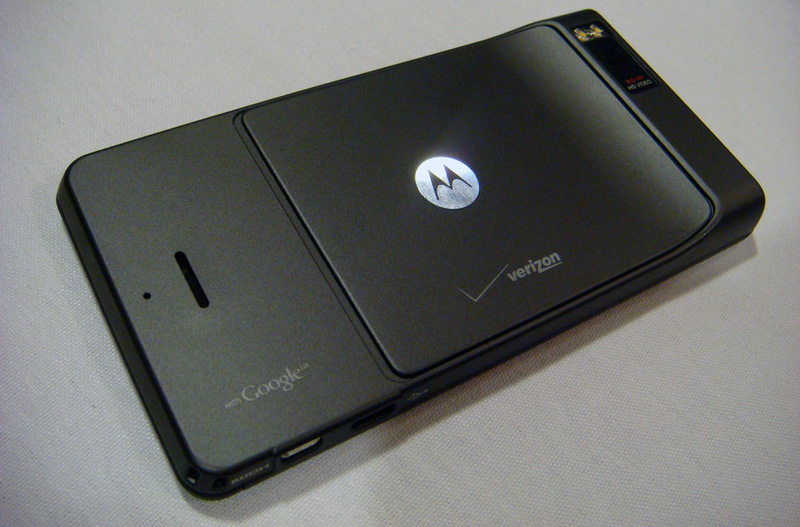 10:20 AM – A quick recap regarding the original Motorola Droid launch from last year. 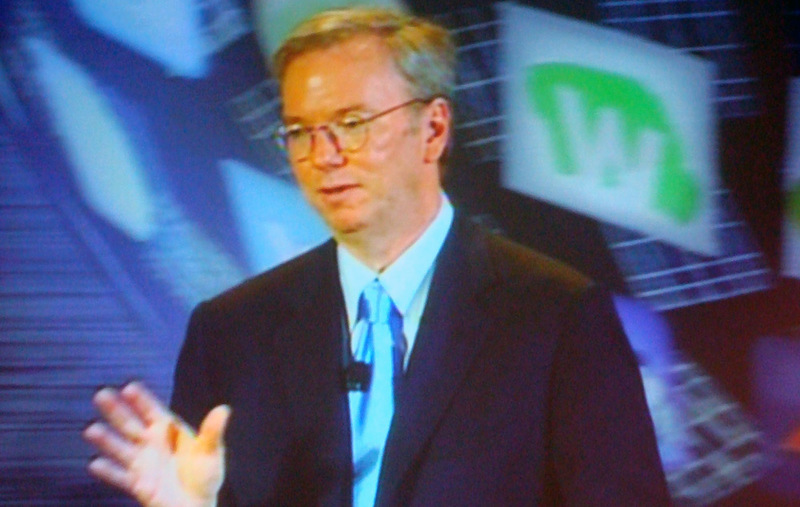 10:21 AM – Eric Schmidt, Google’s CEO, takes the stage as a surprise guest. He’s holding the Droid X. Makes snarky comment about being able to watch YouTube on the device. 10:24 AM – Some exclusive launch partners include Blockbuster, VCAST, NFL Mobile, Skype Mobile, and Backup Assistant. 10:25 AM – A Blockbuster App will offer the ability to stream full-length featured films to the Droid X. A clear snap at Netflix coming to the iPhone 4 and the upcoming Windows Phone 7 later this year. 10:27 AM – V Cast streams World Cup, a great option for fans. Skype Mobile integration as seen on the Droid Incredible and Verizon BlackBerry and Android devices. 10:28 AM -Sanjay Jha of Motorola mentions that the Droid is their 11th Android smartphone. John Stratton of Verizon Wireless touts their 3G network as the most reliable. 10:31 AM – Feature Set: 16:9 Display. 4.3 inch screen. 8 megapixel camera and HD video recording. Microusb port. HDMI output. Sync with home media servers with DLNA. 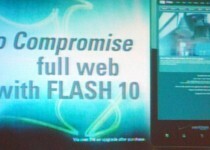 Full web support with Adobe Flash 10. WiFi hotspot for up to 5 devices. 1 GHz Processor up to 40GB of memory. 8GB internal storage. 16GB external card. 512 MB DRAM. 10:34 AM – 4.3 inch screen has a 854 x 480 pixel resolution. Over 400k pixels. 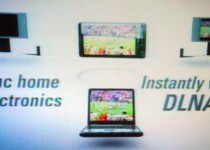 Supports HD video streaming over DLNA. Features a multi-touch keyboard pre-loaded with Swype. See our video demo here. 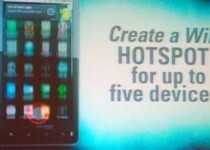 10:36 AM – Mobile Hotspot feature supports up to 5 users over 3G. 10:37 AM – The phone sports 3 microphones, one more than the iPhone 4. It eliminates external sounds. Probably excellent noise cancellation. And with special antennas for improved signal and a reliable network, he claims it’s great for the primary function: making calls. 10:38 AM – It supports enterprise features. These include the option to remote update or even wipe a device clean. Motorola’s CEO also claims that the phone is highly environmentally friendly. 10:40 AM – Google’s VP, Andy Rubin, states that the number of daily device activations has now reached nearly 160k per day. Froyo is apparently becoming fully open source today. It features all the new push features mentioned at Google I/O press conference. 10:42 AM – Shantanu Narayen mentions successful earnings numbers which were announced yesterday. Flash claims 3 million developers worldwide and 95% of internet connected computers have flash. 70% of web games are in flash. 75% of web videos are in flash. 10:43 AM – Narayen states that Flash for Android was entirely rewritten for mobile devices. Claims it offers a full desktop experience and is highly efficient. 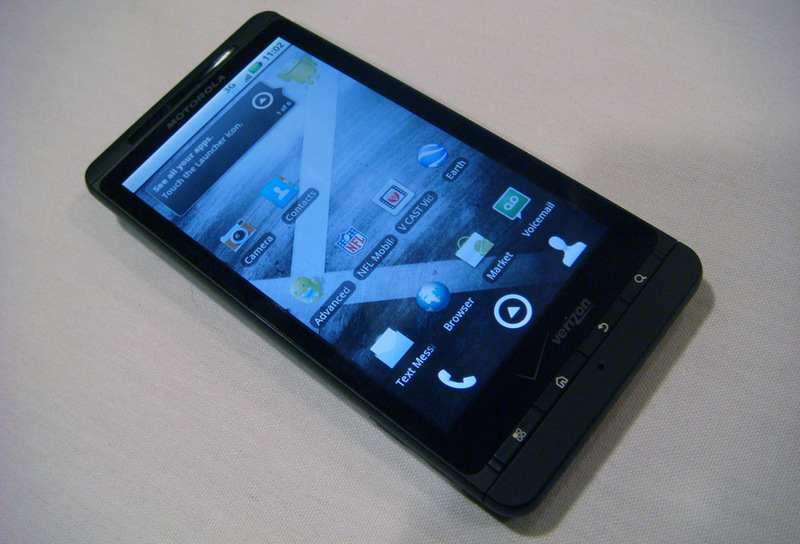 10:45 AM – The Droid X won’t have Froyo 2.2 until later this summer. 10:46 AM – Droid X launches on July 15th, 2010. Costs $199 after a $100 mail in rebate. $29 per month for data plans. Additional $20 for mobile hotspot feature. Any Verizon Wireless customer who has will be eligible for upgrade anytime in 2010 can upgrade to the Droid X at the discounted price. 10:47 AM – Motorola’s CEO claims that they will provide a desktop client for syncing multimedia and data over to the Droid X. 10:48 AM – Verizon Wireless claims that they will only offer 2GB of data on the Mobile Hotspot feature for the $20 price tag. 10:49 AM – Andy Rubin confirms that the Droid X will ship with Android v2.1. But yes, it will get Froyo v2.2 this summer. 10:50 AM – Sanjay of Motorola mentions a 1500 mAh battery. They will also offer a high capacity battery pack that is 1mm thicker. 10:54 AM – Event just ended. We’ll try to get our hands on the device right now. Stay tuned! Is there any media coverage for this event? I mean TV media…is this live on tv at all? But in terms of TV, CNBC was the first to get the scoop. They may have a replay or a text article on their website.